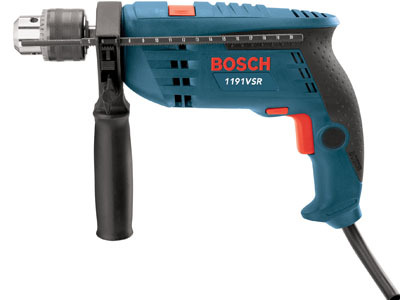 The Bosch 1191VSRK Hammer Drill delivers outstanding performance-to-weight ratio. It is a 4.1 Lbs. hammer with a 7.0 Amp motor that produces 0-48,000 no-load blasts per minute and no-load drilling speed of 0-3,000 RPM. This drill supplies a 360° locking auxiliary handle with a built-in, quick-release depth gauge. 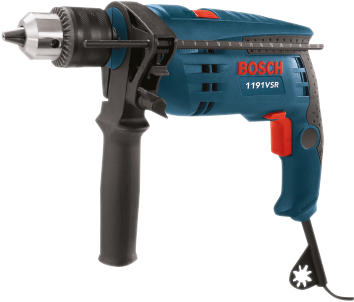 This easy-to-handle drill has a dual-mode selector, which easily converts the tool from rotation-only to hammer-drill mode. The variable-speed trigger with reversing allows accurate bit stars as well as removing fasteners, as this tool has a metal front housing for longer life and a heavy-duty keyed chuck for secure drilling. 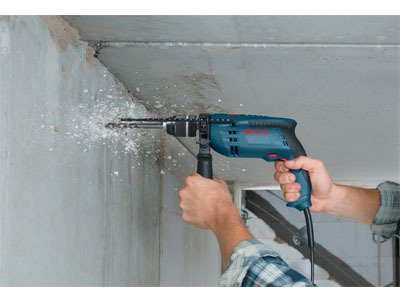 This hammer drill works with Bosch PRO+GUARD™ dust system to help users move toward OSHA Silica Table 1 dust compliance.